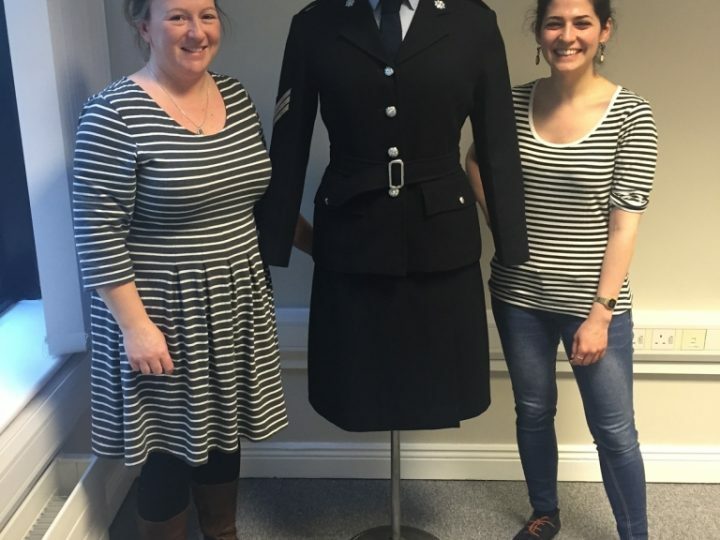 February and March saw Anna and Maria working on site at National Trust’s Ickworth House conserving the Drawing Room curtains in the Rotunda. 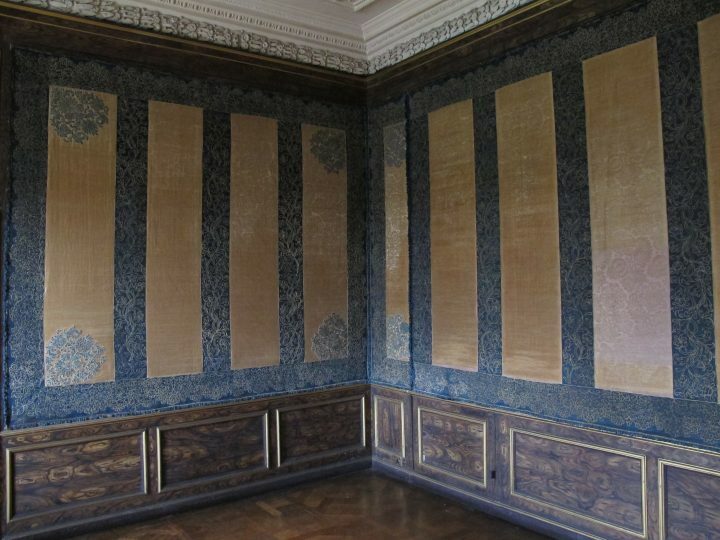 Here you can see photographs depicting the before, during and after conservation stages. 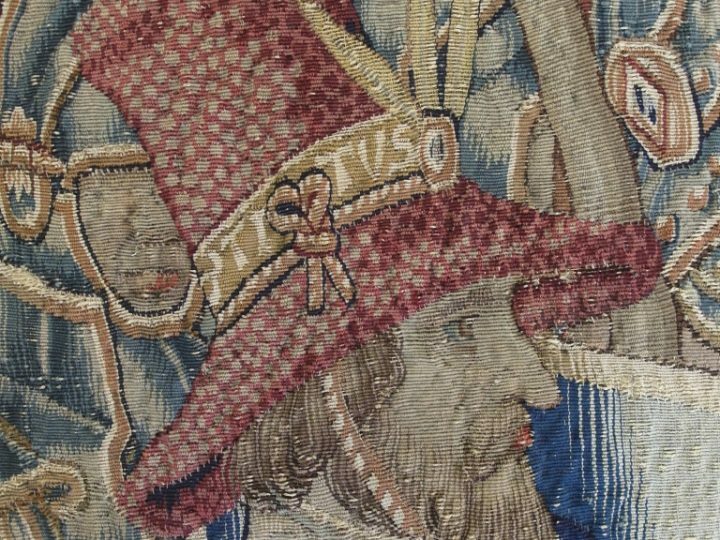 Showing damage to the silk on the folds of the curtain. 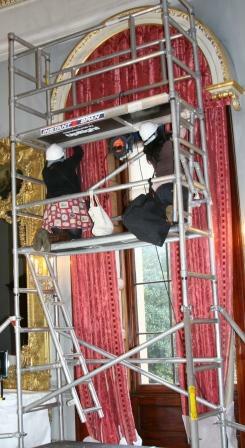 Conservators working at height on the top half of a pair of curtains. 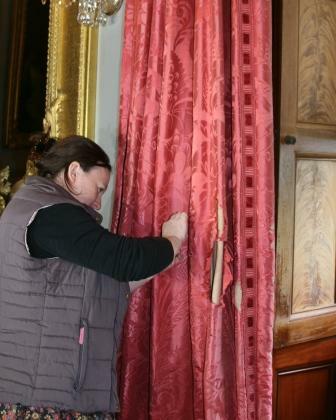 The curtain shown above, now loose, with conservator hard at work on it. 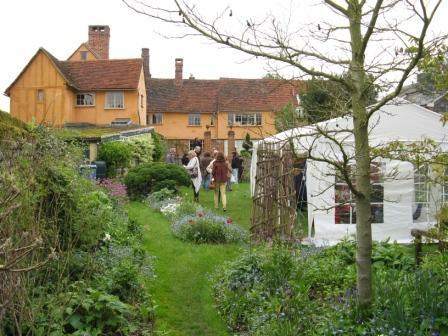 The links below take you to the National Trust’s posts on this conservation work, where you can discover how they care for their treasures.